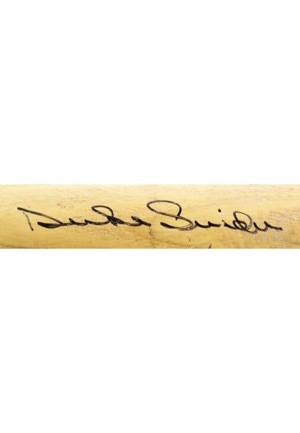 Duke Snider was an outstanding outfielder for the Dodgers for sixteen seasons, averaging 42 home runs, 124 RBI, 123 runs and a .320 batting average between 1953-1956. He played on six Postseason teams and won two World Series Championships. 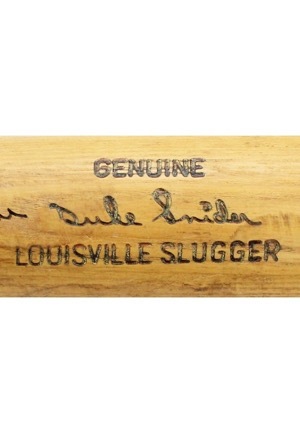 Snider also hit four home runs in both the 1952 and 1955 World Series, a feat that no one else has accomplished. 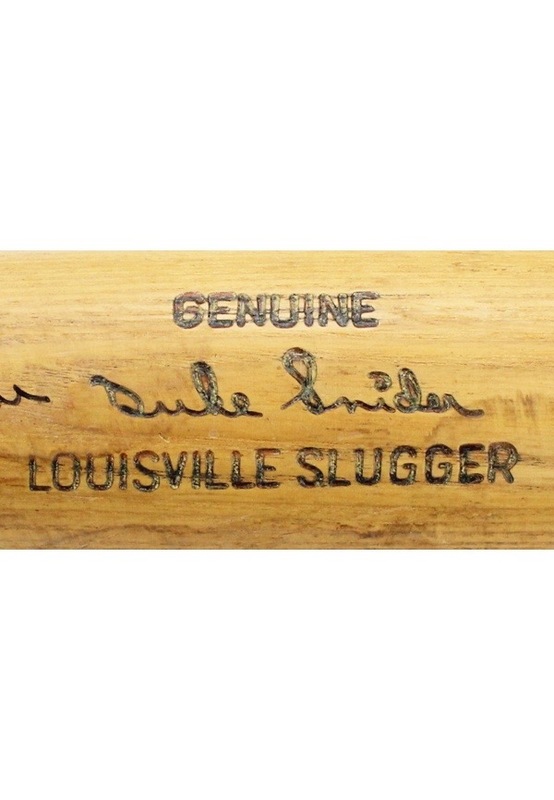 Snider was elected to the National Baseball Hall of Fame in 1980. 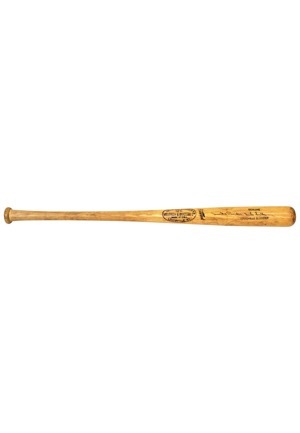 Offered is a post-career bat used during Snider’s coaching tenure with the Dodgers. 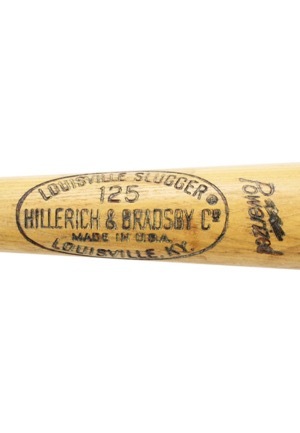 Manufacturer: Hillerich & Bradsby Model Number: C117L Length: 34 inches Weight: 32.65 ounces. 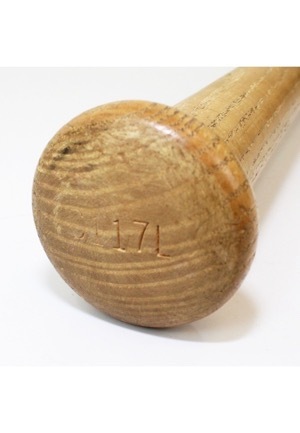 The bat is uncracked and shows evidence of use with ball marks throughout the bottom and back barrel. 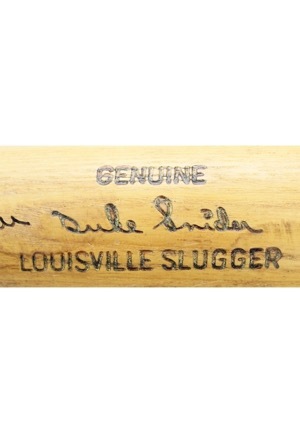 Snider signed on the front barrel in black ink and in our opinion the signature rates an 8. Accompanied by a LOA from PSA/DNA for the autograph and a PSA/DNA Pre-Certified LOA for the bat.